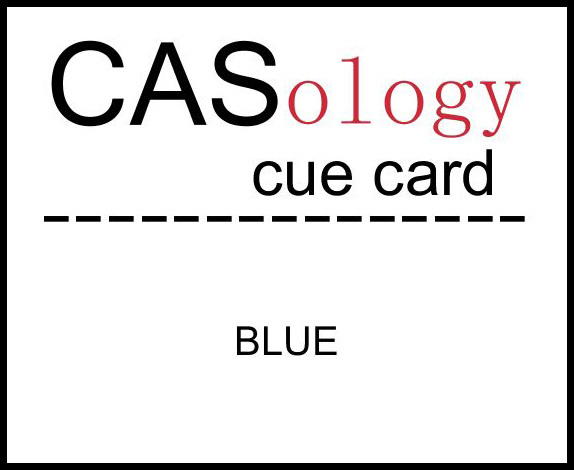 This week's CASology Cue Card is BLUE! 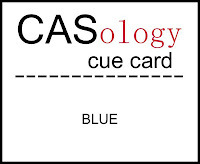 This card shows that a CAS result does not always mean there was a CAS process! I used the same technique as yesterday's card - I started with a square of white cardstock and coloured it with 5 different shades of blue Copics, going back over to achieve good blending. I cut that piece into 1/4 inch strips and interspersed them with 1/2 inch white strips and taped them all together to make a 4x4 panel. I then stamped a very simple Papertrey sentiment. By leaving so much white (or clear) space, the card still feels light and airy, but this is a far cry from my card last week, where I just stamped one stamp in the middle of the card, although there are similarities! Now it's your turn to show us what blue means to you! Link your creation to CASology by Sunday at 4:00 pm (CST). But first, don't forget to drop by the blogs of the other design team members to see what they've done with this Cue Card! Love these gradient stripes!!! Fabulous! Ardyth your stripes are perfect! So beautiful and so classy! I love the modern look of this card! The stripes are so simple (in appearance) and the clean font of the sentiment is just perfect! wonderful blues on your blue card Ardyth! I wondered how you drew those stripes SO perfectly!! glad to read you cut them!! LOL!! Love your horse card on the post below as well! It's nice to have a reason to make cards - my friend owns a baby shop and I design baby cards for her to sell there! It gives me a little cash to buy more stamps - but sometimes it is hard to stamp on demand, especially in multiples! This is so you - love the gradient shading and bold sentiment! Beautiful job of coloring your graduated shades of blue, Ardy, and designing your card! It is wonderful that you have nailed down a style that is recognizable and respected throughout our community. We all know an "Ardyth" card when we see one!! Your strips are so straight and true! I find this card fascinating! Okay, I'm confessing to watching your Pinterests boards and waiting for them to come to life in your cards. Your eye for color is incredible Ardyth..and wowzers...these gradient stripes take my breath away. this is so very cool, ardyth! and your stripes are so perfect! Wow, this is amazing! I can't believe that those strips were colored! Just awesome!!!!!! Love the gradation!!! Ardyth, this is so COOL! I love those stripes...hard to believe they were colored! The sentiment goes perfectly with the clean, bold look of this card. Awesome! Oh so fine, fine, fine! I am in awe of your blending ability with Copics. It is perfect! This is gorgeous! Love the shading. It adds so much impact to a simple striped card! 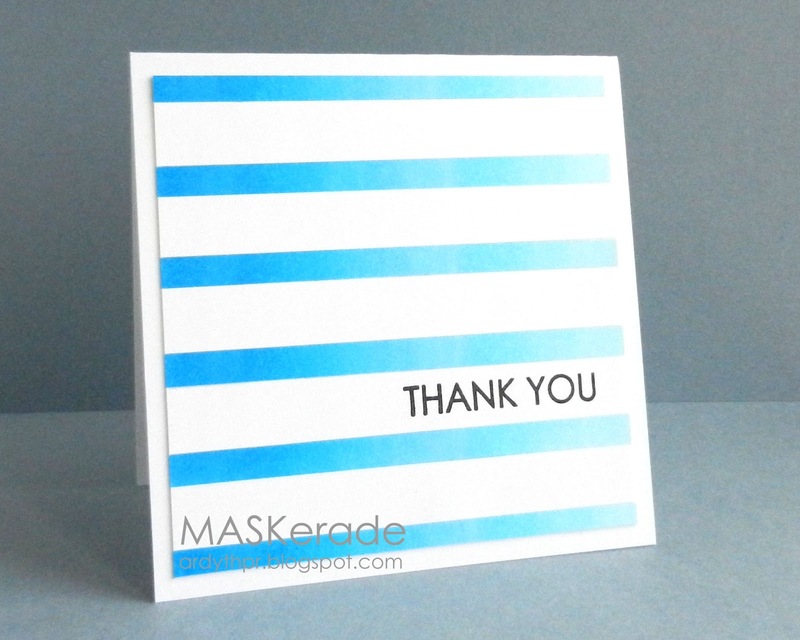 Fantastic shading of the blues ~ a perfect CAS card!